TrustID that is truly best-in-class. The flexibility of its feature set works for all ID card applications, irrespective of size. It’s practical for small SMEs, but is also a platform that can be scaled for large projects such as critical infrastructure and airports. 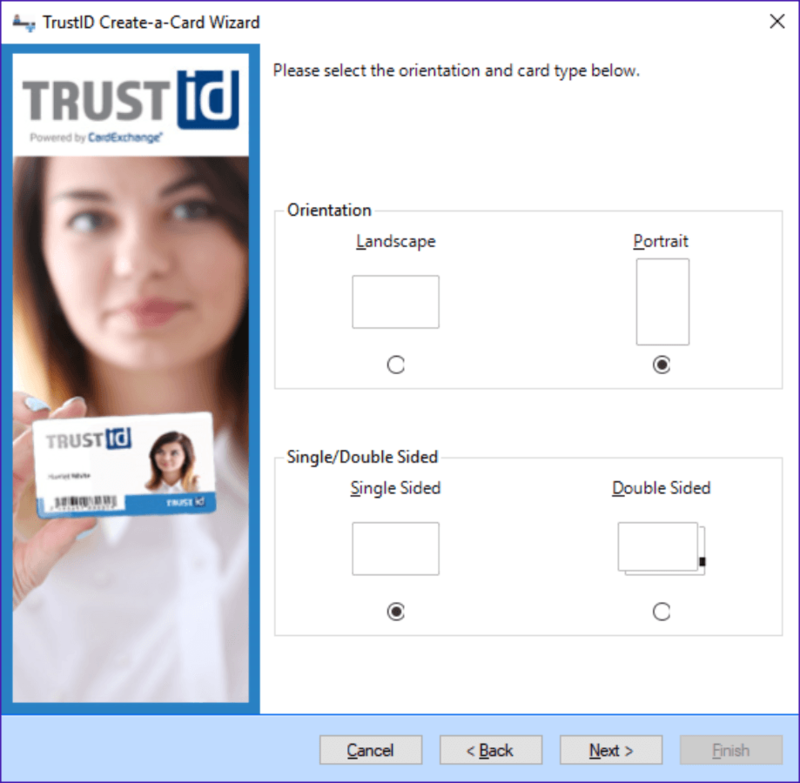 TrustID’s straightforward configuration is scalable for any ID scheme and takes you from card design right through to issuance. Create your own internal database or use our integration tools to seamlessly link to your organisation’s data. 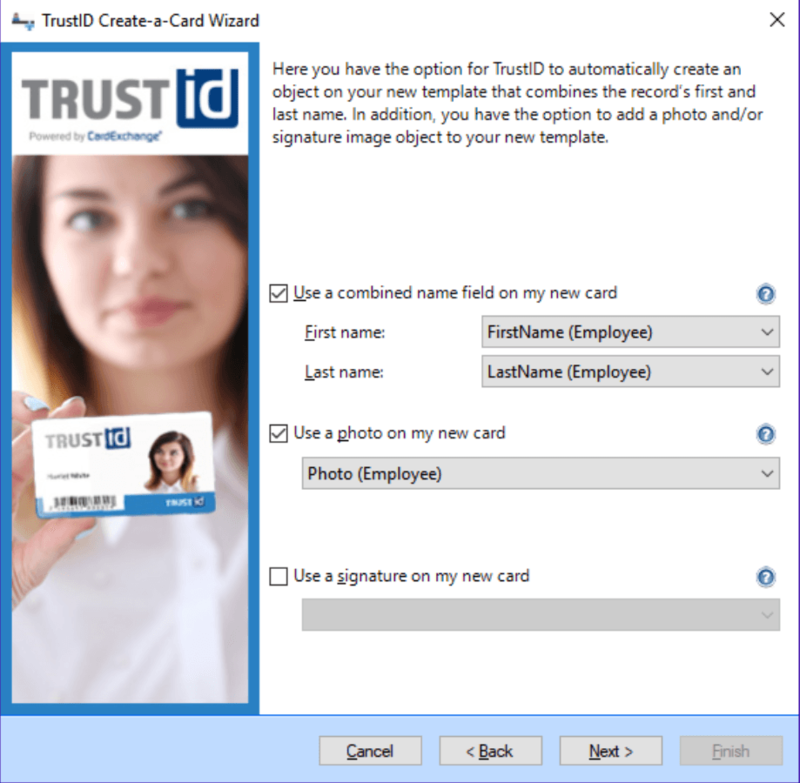 TrustID is optimised to print and encode ID cards using Magicard’s secure ID card printers. 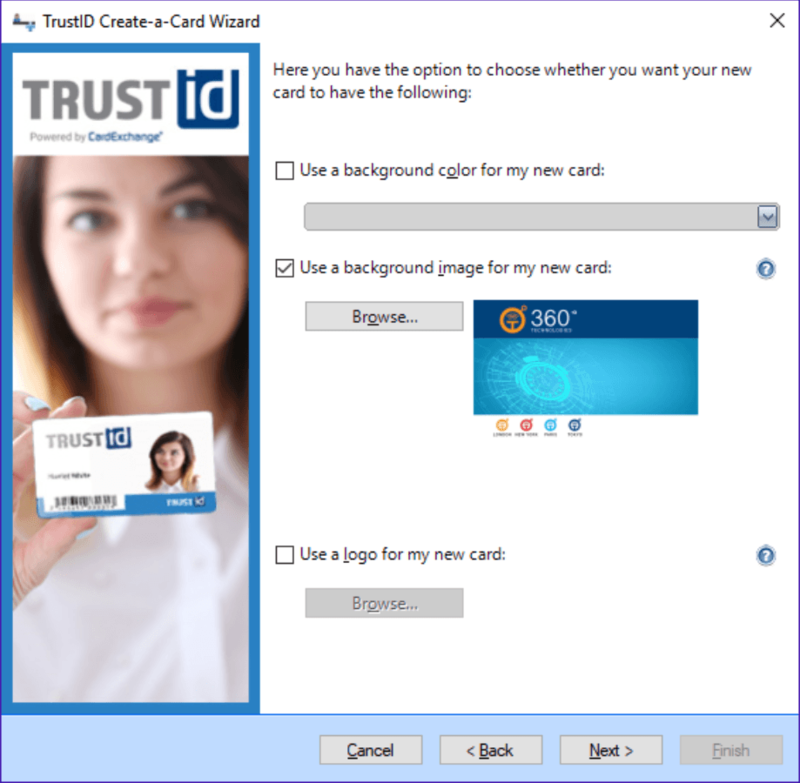 Click-to-card is easy and seamless. 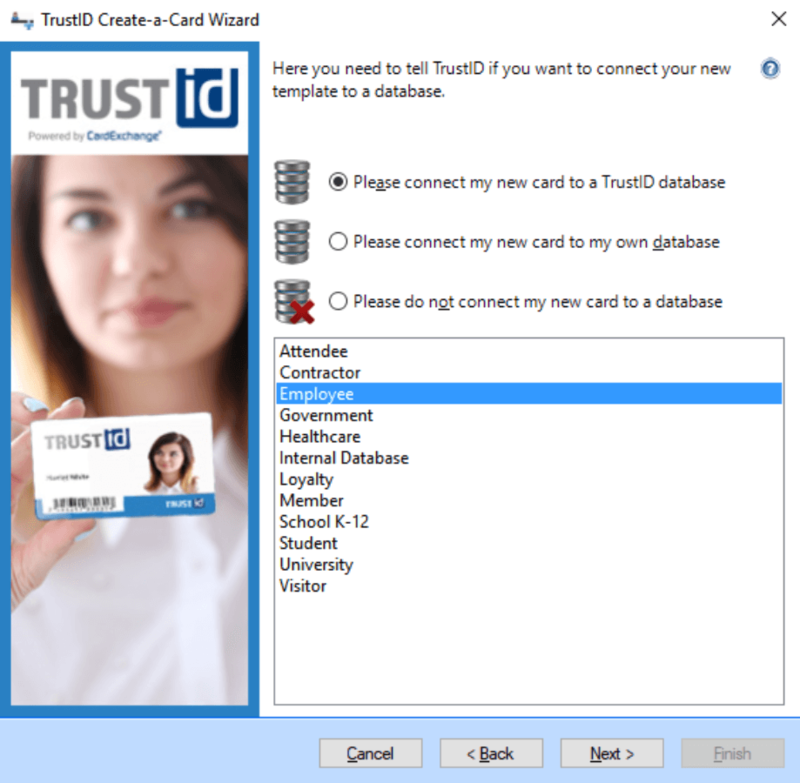 The TrustID suite offers a comprehensive range of database connectivity choices. These start with simple CSV and text and include MS Access and MS Excel. Enterprise level databases such as MYSQL, Oracle and ODBC can be integrated with all Pro editions. 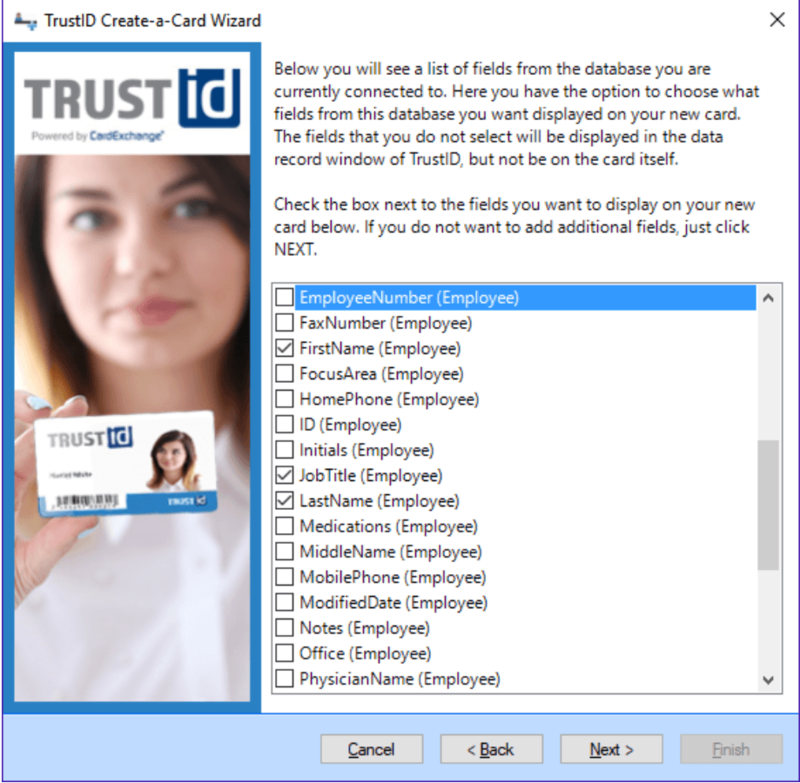 Although it is optimised for Magicard range of secure ID card printers, TrustID will work with most other ID issuance hardware. Text is crisp and images are vibrant. The software can also be used to encode both magnetic stripe and contactless or contact chip smart cards. Our Enterprise editions offer centralised data and license management. You can store all your card layouts, database connections, printer settings, and more in one location. Having shared data enables all users to have the most current information. TrustID supports a wide range of devices. Photos can be added using webcams, scanners and Canon digital cameras. 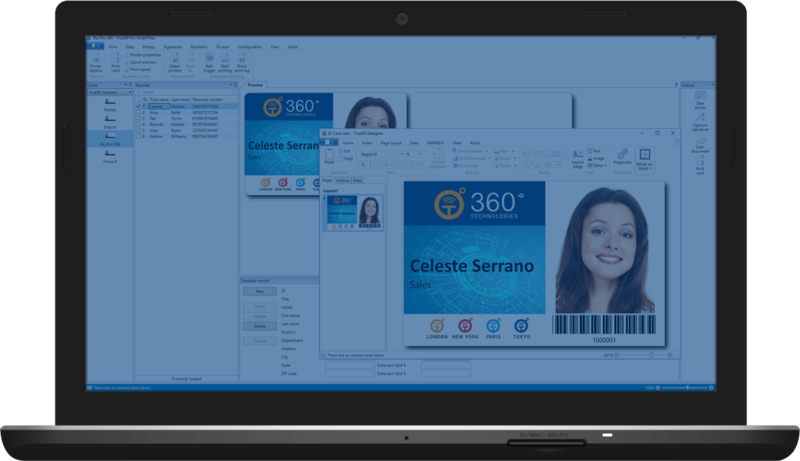 Signature capture is available on most editions, with face recognition available on Pro licenses. 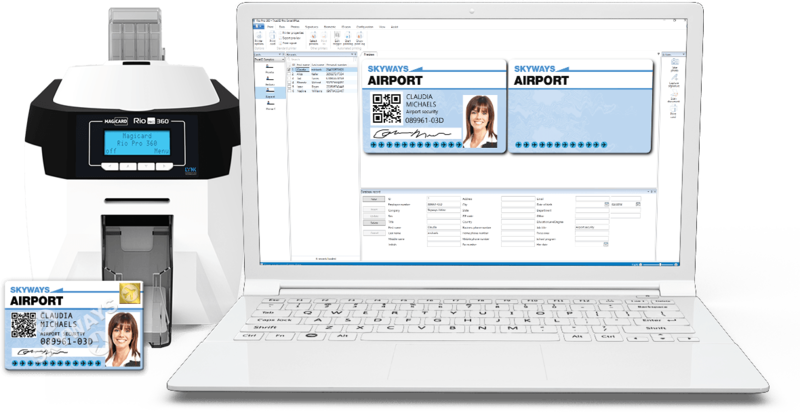 Pro Smart editions include biometric capture, storage and verification. For inline smart card printing and encoding use the Pro-Smart edition for MIFARE Classic® and Pro-Smart+ for MIFARE® DESFire® EV1 or MIFARE® SAM AV2 technologies. Every edition of TrustID features a step-by-step card design wizard which guides you through 7 simple steps to create your perfect ID card, quickly and easily, without the need for any training. Getting started is easy. 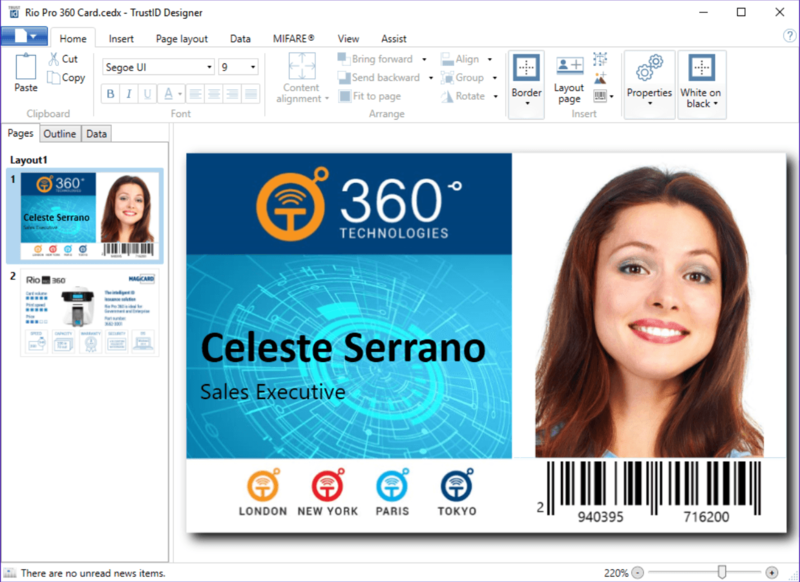 With our FREE trial edition, you can design your card, print samples, setup database options, and more. If you like what you see, simply purchase a license and activate your software. Just fill out the form and you will receive an email that includes your download link. Have questions or would like a personal tour of our software? Let us know and we’ll be happy to help. 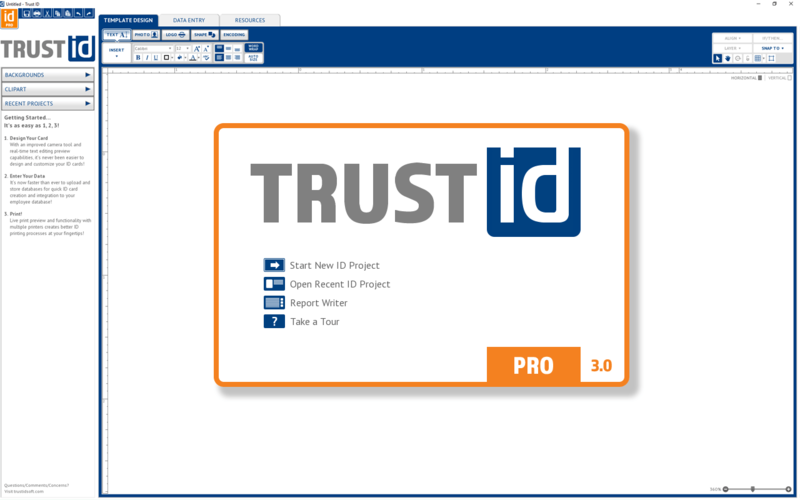 Test-drive your free trial of TrustID today. We have five different license levels, taking you from an entry level solution to our Pro editions that deliver unparalleled features. 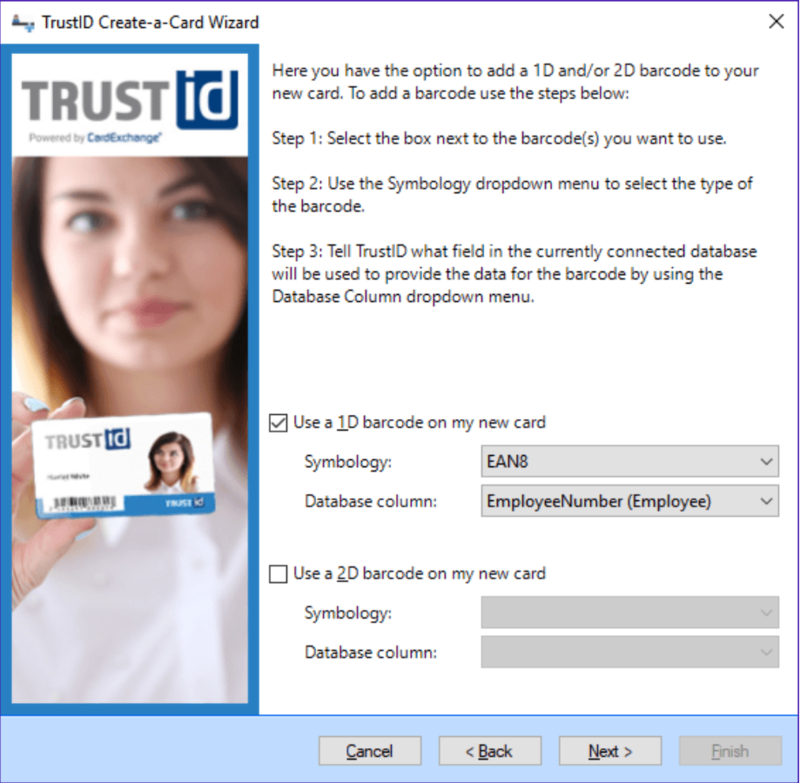 Connect your card to unlimited databases, web services and sophisticated contactless encoding applications. We have it all. 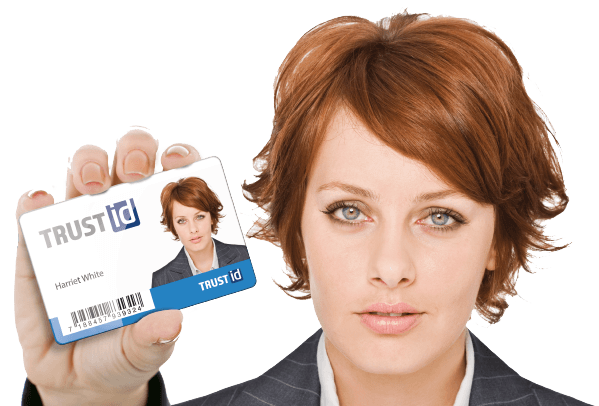 Need biometric record lookup? We have it. Need to control what every user can see and do? We can do it. Want to run on a network spread over the world? No problem. Our customers include critical infrastructure facilities, banks, universities, airports, hospitals, and more. Items marked * are optional extras and not included in the monthly/annually subscription. System Requirements: Intel© Core i3™ or higher, minimum 1GB RAM (2GB recommended especially for 64bit OS), 1024×768 resolution (1280×1024 or higher recommended), 200MB HDD or SSD free space, Microsoft .net framework 4.6 or higher, Windows 7 or higher and an internet connection.